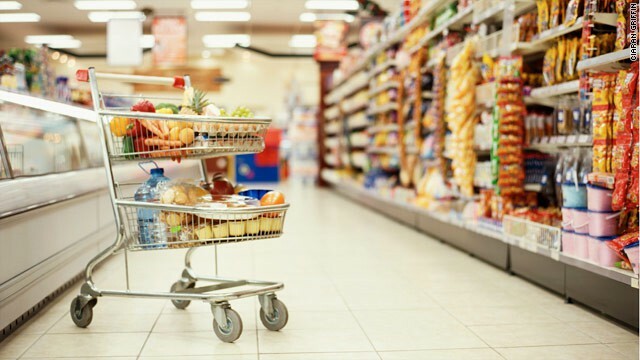 How can we identify the different products which can be bundled together to increase the sales ? 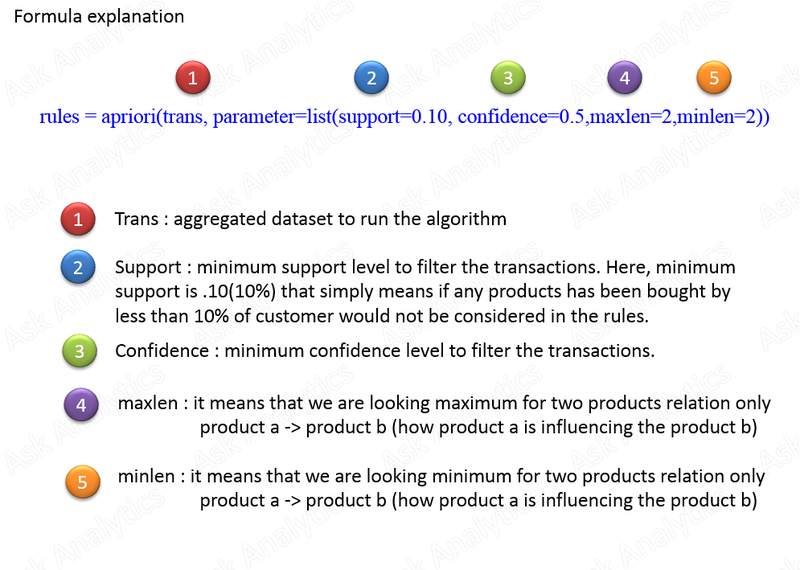 The answer of the question is Market Basket Analysis or Apriori Algorithm. Do you know, how to run the Apriori algorithm in R ? This article has been written in continuation of the previous article covering Basic of Market Basket Analysis. 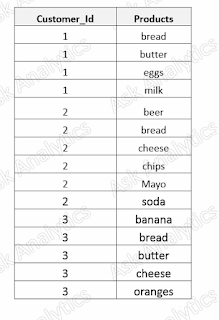 Please download the data file that would be used in this analysis. 1. Let's first import the data. 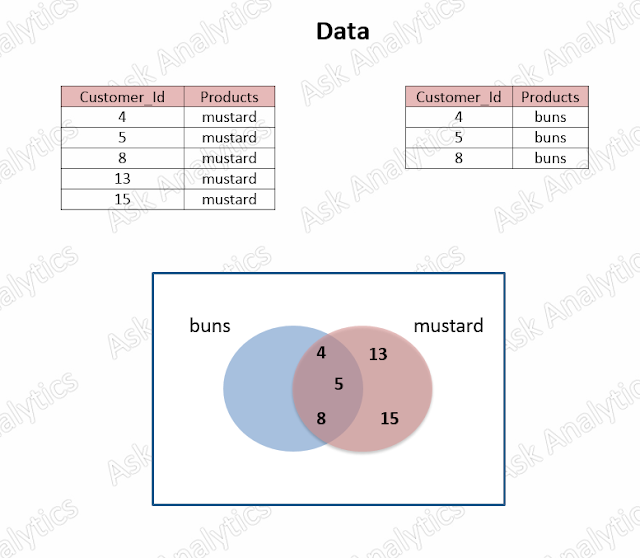 << Here is the screen shot of data in R.
mba_data( data frame in R) has two variable customer_id and products. 2. We cannot directly use imported data to run apriori algorithm. 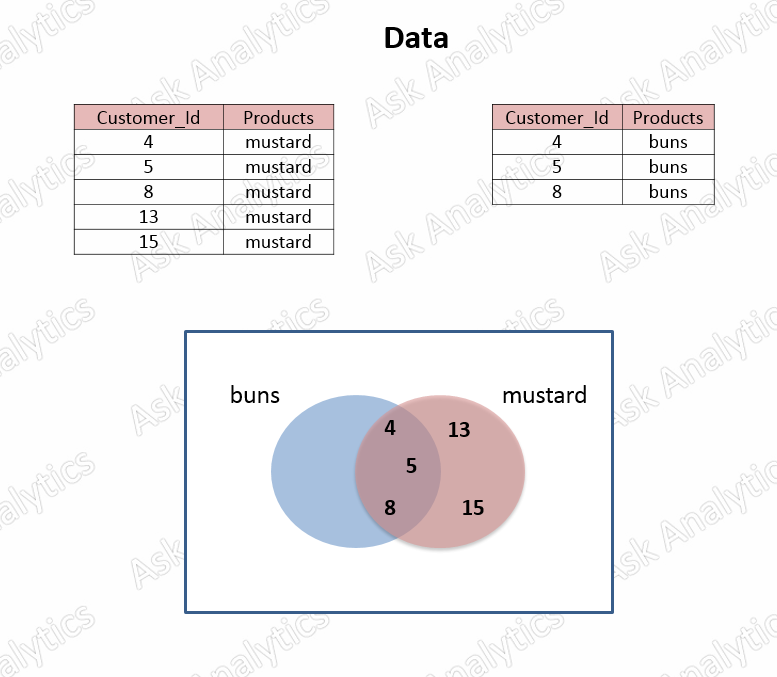 We need to aggregate it first by customer id and transform into different format. 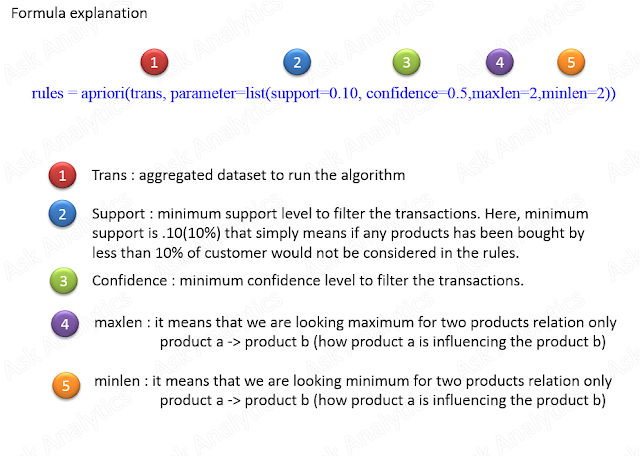 We have transformed the data into the desired format to run the apriori algorithm. In order to run apriori algorithm, first, we need to install and load arules library package using below code. Below are the screen shot of R result. 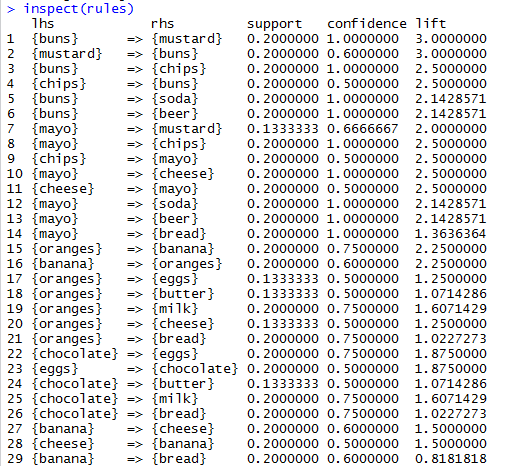 We have successfully derived 66 rules( written second last line in the above screenshot). Now lets have a look on those rules. 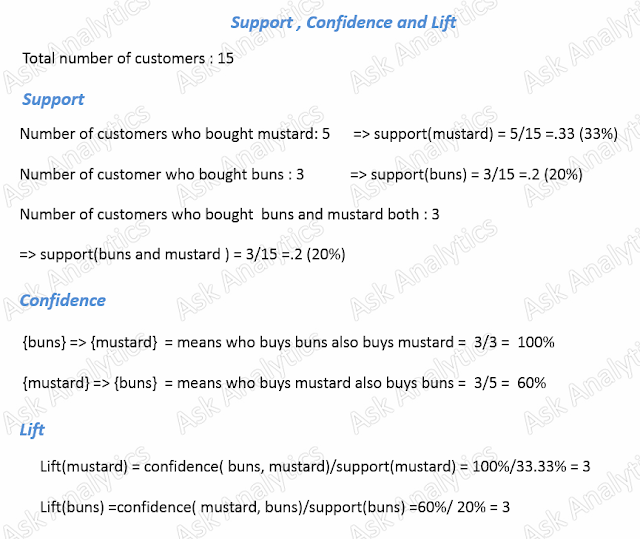 Lets manually validate the first two rules ( buns => mustard and mustard => buns). 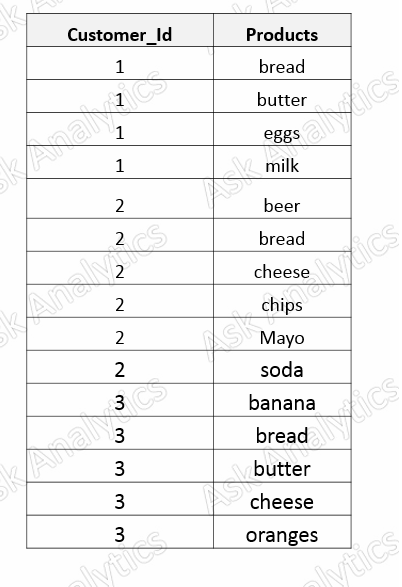 I hope that you would have read our last blog on Market Basket Analysis. 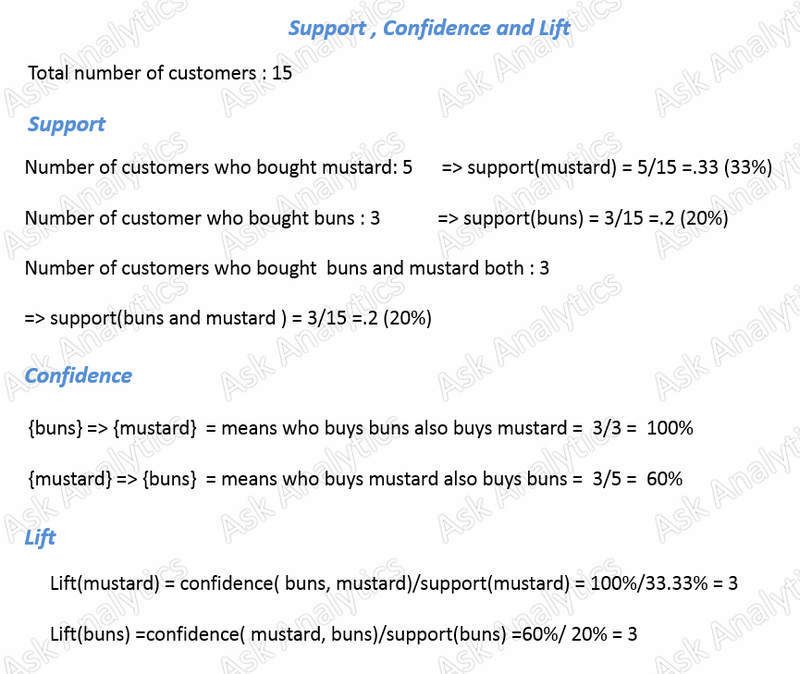 In our last article we have explicitly explained support, confidence and lift. Please read that article before getting into below calculation to understand it better. If you want to export the rule file into csv file, you can get it by below mentioned code.